Caral is one of the oldest civilizations of America, located to 182km from Lima in the middle of the Valley of Supe (Barranca). The city was discovered in 1905; with the absence of ceramic but this place stand out by this extension and diversity of monumental buildings. The dating of the textile discovered inside of the pyramids by radiocarbon tests is from five thousand years. The principal economy of this civilization was the agriculture, and its proximity to the sea permits extract foodstuff to complement their diet. They made temples to venerate their gods and celebrate ritual dates. In fact the lords who governed could seems that they can communicate with their gods which guarantee the social order. Then with a single hierarchical social status, the population was divided in many social strata, which promoted the laboral specialization. They organized in Ayllus (families) worked their own land and from their production they had to give kind of tribute for their authorities. this population lived in small towns named "Pachaca", these place were urban centers with self-sufficient economy and managed by authorities called "Curaca"
Most of the researchers who studied this civilization are agree with this place is one of the most important archaeological place of America,and according to the studies this civilization was predominant religious, they used to made rituals and ceremonies, burning important artefacts for them in the square. They had a different point of view of life (cosmovision). They believed in the armony of the space and the preservation of the environment, because humans are a little piece of the universe. According to the studies made in situ shows the degree of civilization reached level of a structural complexity which permits established a primary model of state. Ruth Shady one of the dedicated scientist for this primary civilization says that the valley of supe its one of the most main settlements where begins the Peruvian civilization. This city was reconstructed, destroyed and reconstructed by their own population under cultural concepts. the team of scientist found two looted tombs, remains of haircut, and recovered three groups of wind instruments which means that this people used to practice music associated with religion. 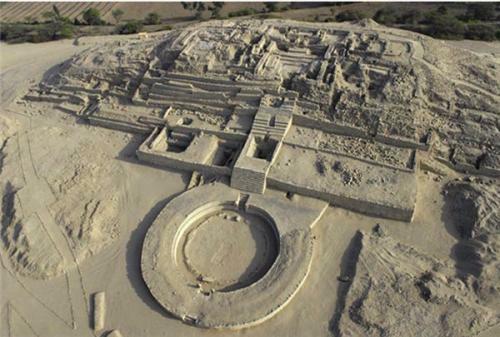 The attractive of caral is seven huge pyramids with tiny pyramids around the others. Moreover the travel to caral shows other places, a number of other contemporary sites Caral pyramids as: Age of Pando, Lurinhuasi, Miraya, Allpacoto rough Chupacigarro, among others. Finally Caral it's not unique by its monuments or by their social development, this civilization known in the entire world because grew in a insulating state and no communication with Europe. For this reason our timeline of the history has to been redefined according to this discover. The way the somebody wants to learn the history of the world is reading and investigation but, if someone wanted to see this monument is necessary to travel to Peru and fall in love of this culture that can be visit it by the Caral tours.